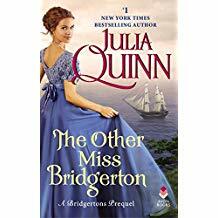 I love Julia Quinn’s Bridgerton series, and have also mostly enjoyed the spin offs even if they are comparatively unmemorable when put against the original series, so this was a pre-order for me. And it’s not that this one was bad, I liked Andrew, and Poppy was nice, but there wasn’t much spark for me on this one. I actually thought it was me and that I was in a reading slump (which I think I kind of am), but when I asked about it elsewhere, Malin assured me that she was struggling to maintain her interest in this one as well. The premise certainly had potential – Poppy interferes with some potential illegal operations in a cave, and is kidnapped to keep the location of the drop off point secret. Her kidnapper is Captain Andrew James, secretly a Rokesby in service of the crown, even if he lets her believe he is a privateer. I can certainly see there being something kind of good about them not rushing into a physical affair because of the whole secrets, lies and kidnapping but if I’m looking at my Kindle, and I’m at the 80% complete mark and there has only been one chaste kiss? Yeah, I’m going to be a bit disappointed. Besides which, Julie Ann Long had a much better ship story with Olivia. Over all, it was fine, he was charming, she was intelligent and restrained by society’s conventions, he appreciates her intelligence in a way no one else ever has. All sweet, all cute, and oddly bland for an adventure at sea. Maybe it’s time to reread the originals or reread the Pennyroyal Green series. Share the post "About the reaction you would accept from a book with a character who is simply the other one in the title"